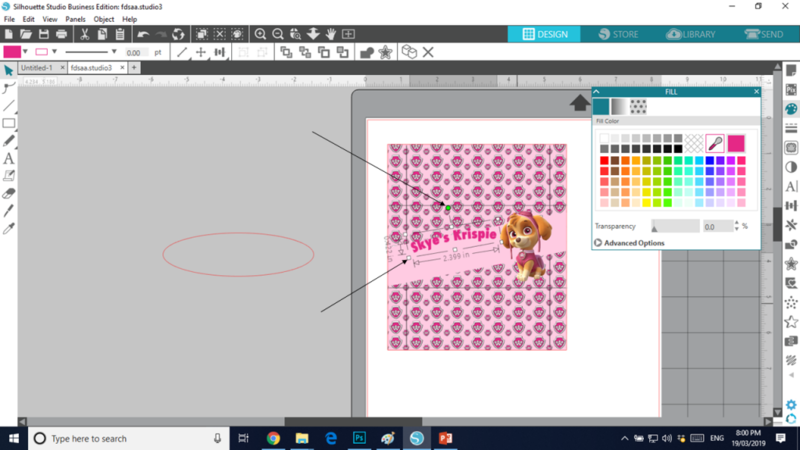 One questions I get asked all the time is how can I make my own custom Rice Krispie Treats with Silhouette Studio at home? 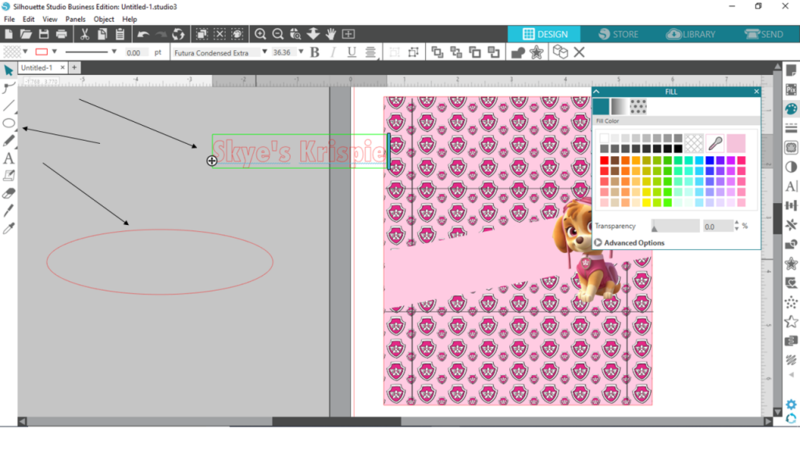 And in today’s tutorial, I am going to show you how with my favorite DIY crafting software, my Silhouette Studio. 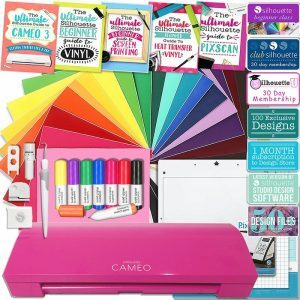 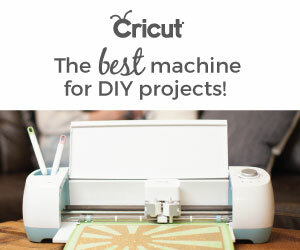 If you aren’t familiar with the Silhouette Studio, it’s an electronic cutting machine that gives you the freedom to create any DIY projects you can think of. 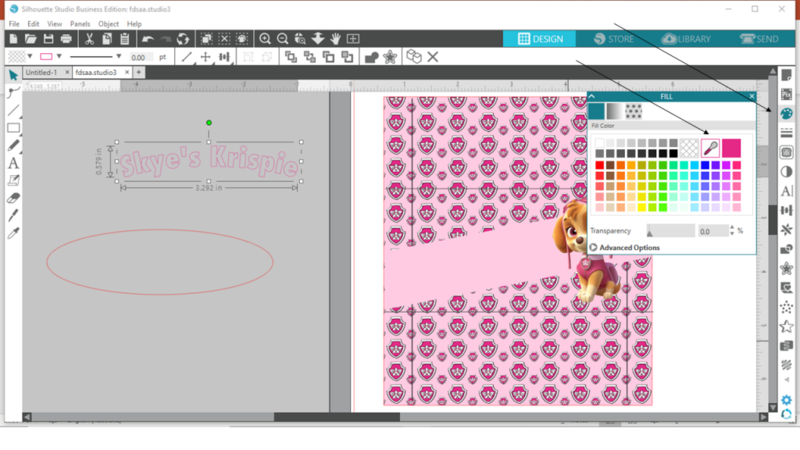 I love my Silhouette Studio and all the different things that I can do with it. 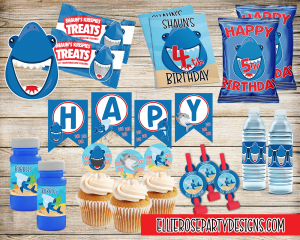 Especially party decorations for my kids birthdays. 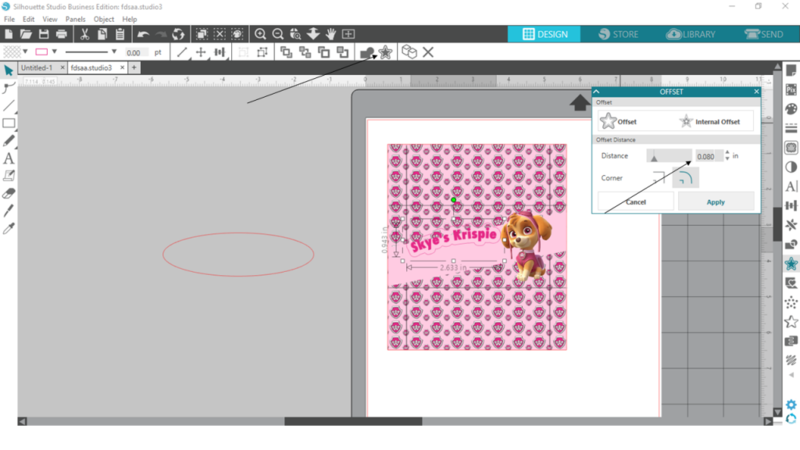 Silhouette Studio software is free for all to download, but most people don’t really know how to actually use it and where to get started. 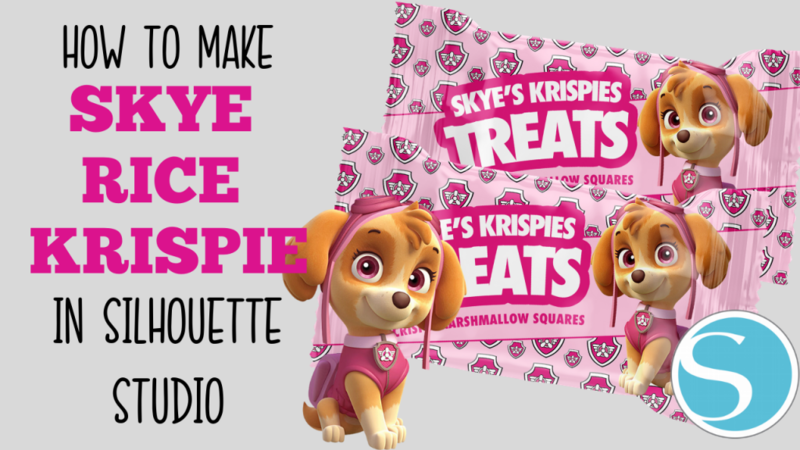 So, today I thought I would get a little techy, and do a step by step tutorial about making Rice Krispie Treats. 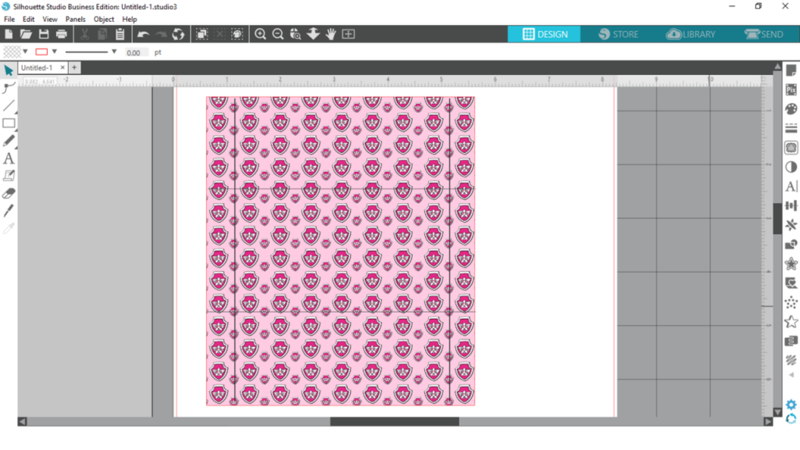 Then, I’ll show you how to assemble them so you can use and make these for all your parties. 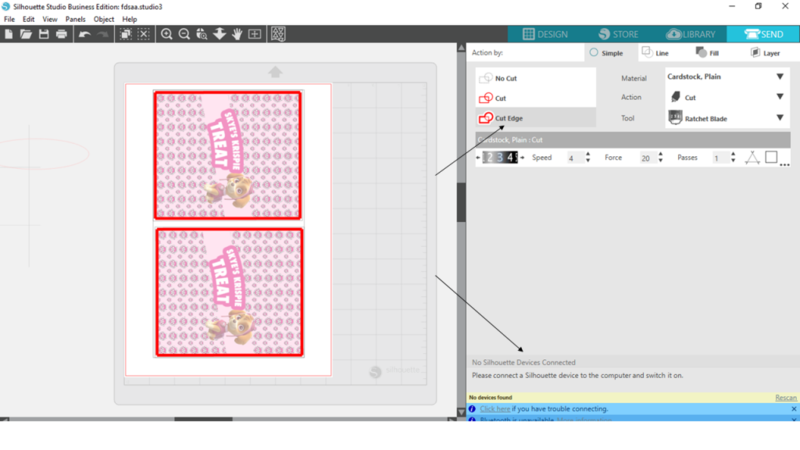 Under “Silhouette Studio” click the download link. 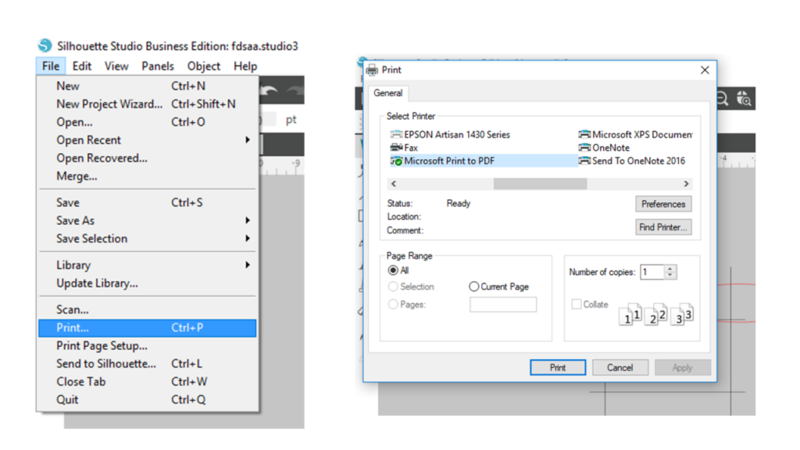 Ensure you choose the correct one depending on your operating system (Windows or MAC). 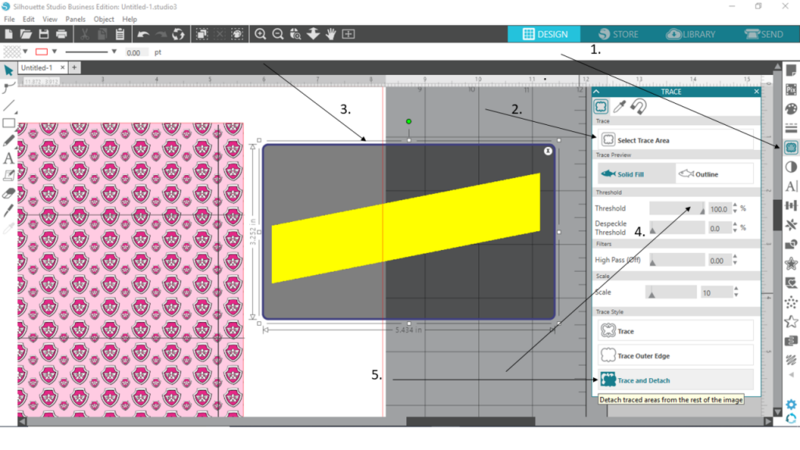 Proceed through the installation process by following the on-screen prompts. 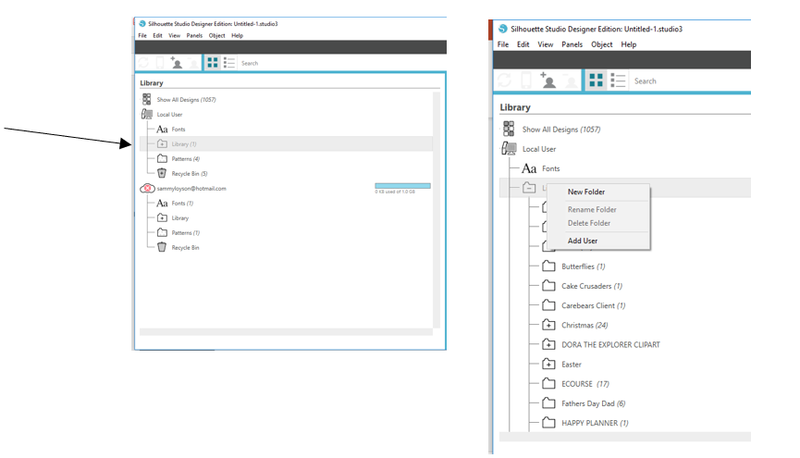 If the installation window does not automatically appear, browse to the download in My Computer and double-click the setup.exe program to run it. 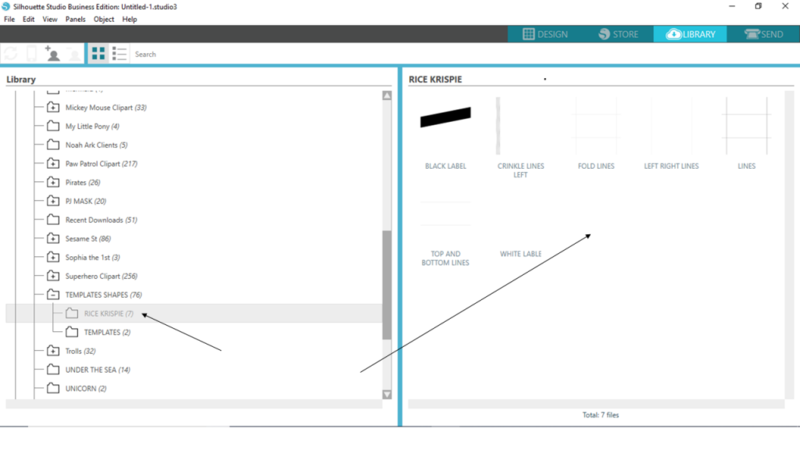 If a “New Hardware Found” dialog box appears, follow the recommended instructions to accept your system’s installation of the Silhouette driver. 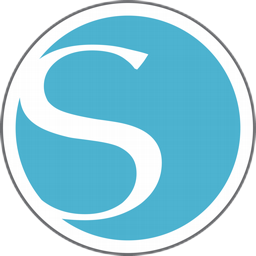 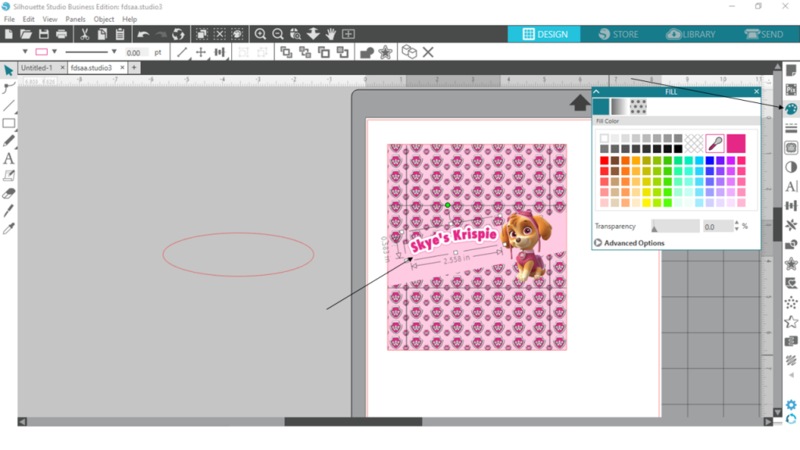 Drag and drop the Silhouette Studio application icon into the applications folder to install Silhouette Studio. 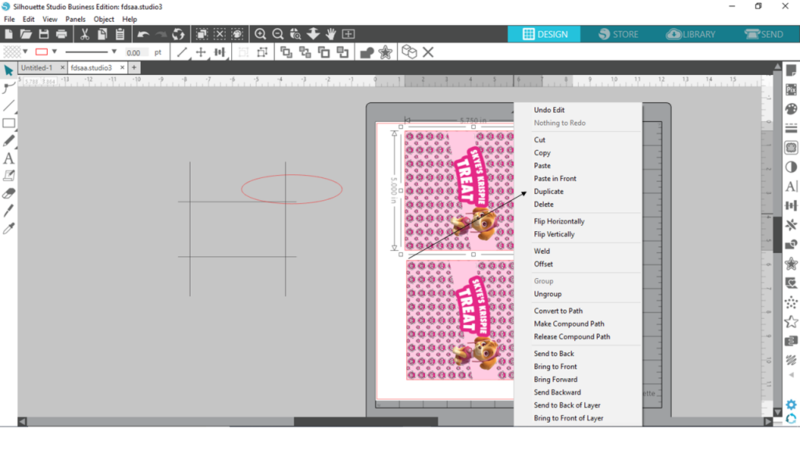 Locate the Silhouette Studio icon on the desktop, or in the Start Menu on your PC (in the Applications folder on a Mac). 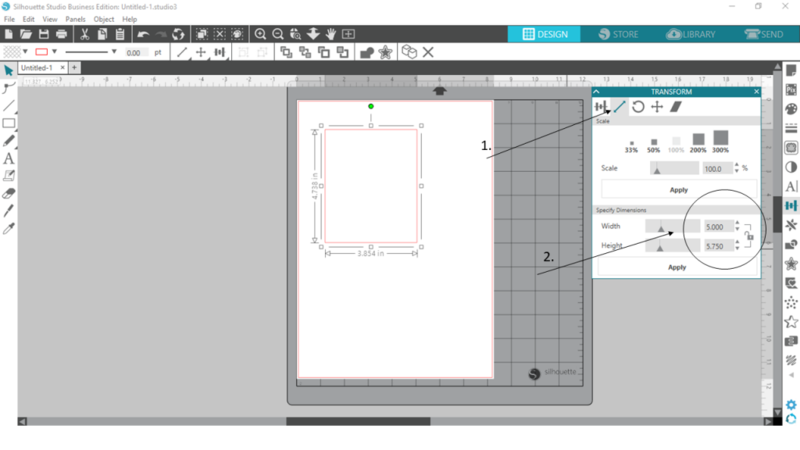 Double-click the icon to run the application. 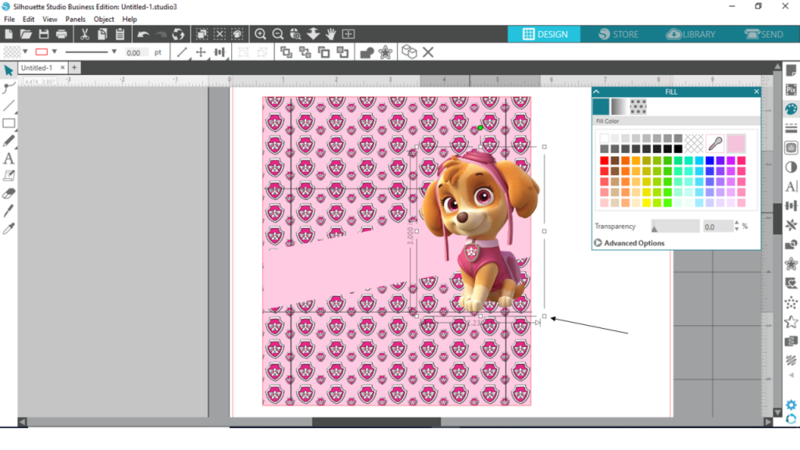 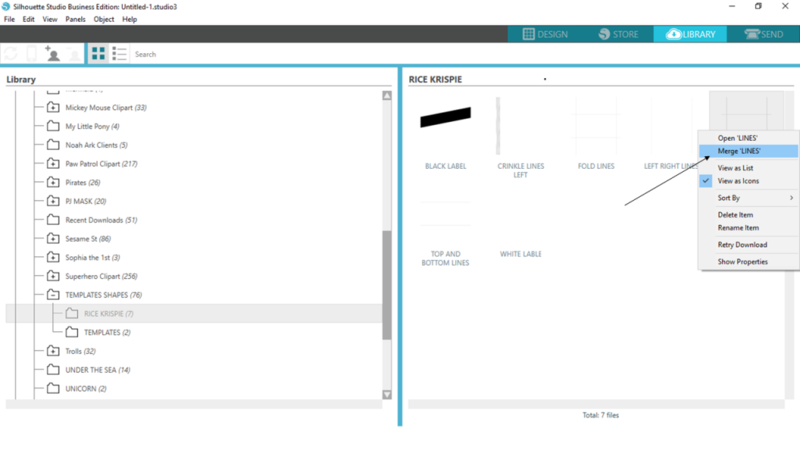 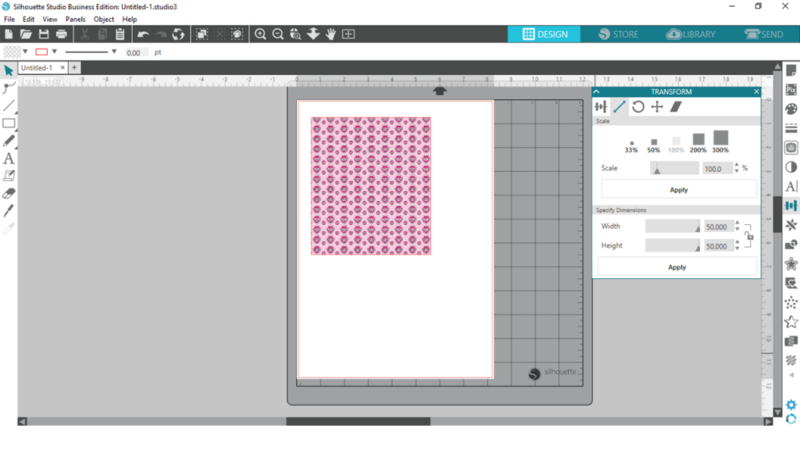 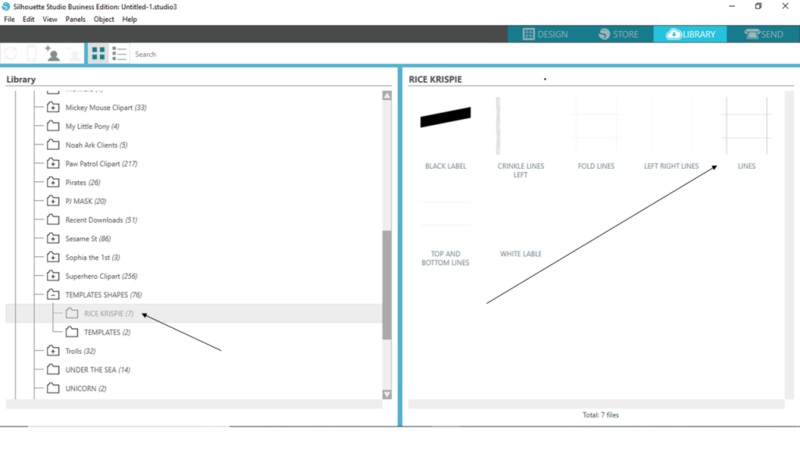 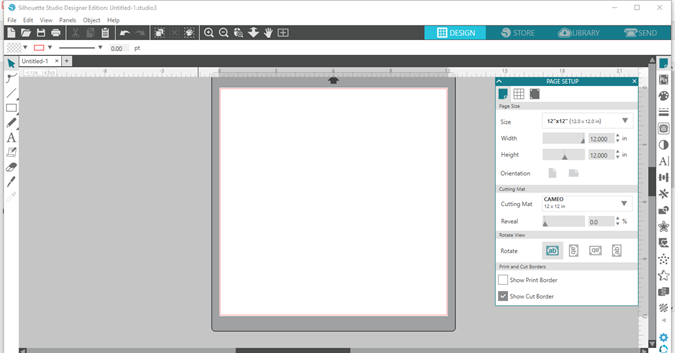 Once Silhouette Studio has loaded, you will notice a blank 12” x 12” page on your screen. 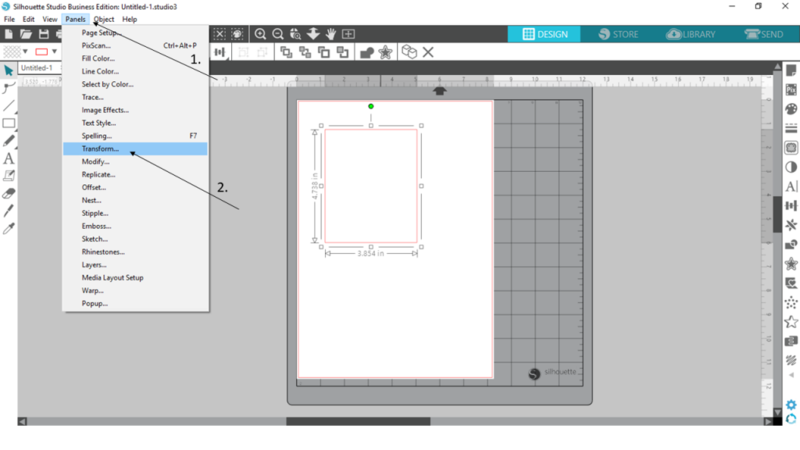 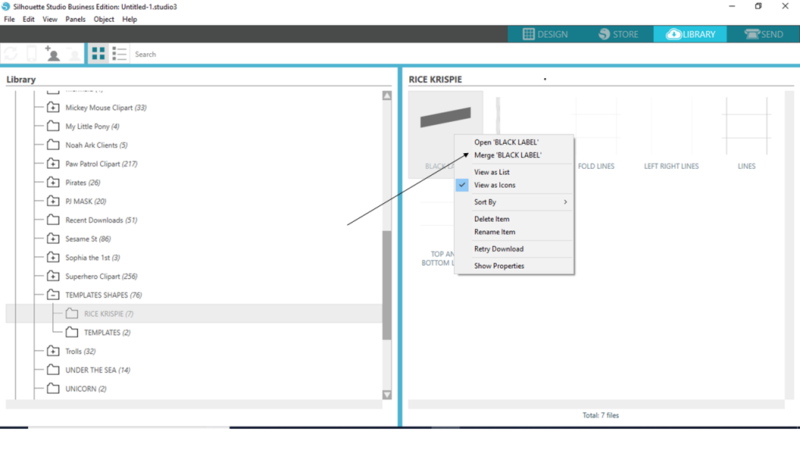 If you would like to change the page dimensions or orientation, you will find the page setup options already opened in a separate tab on the right-hand side of the screen. 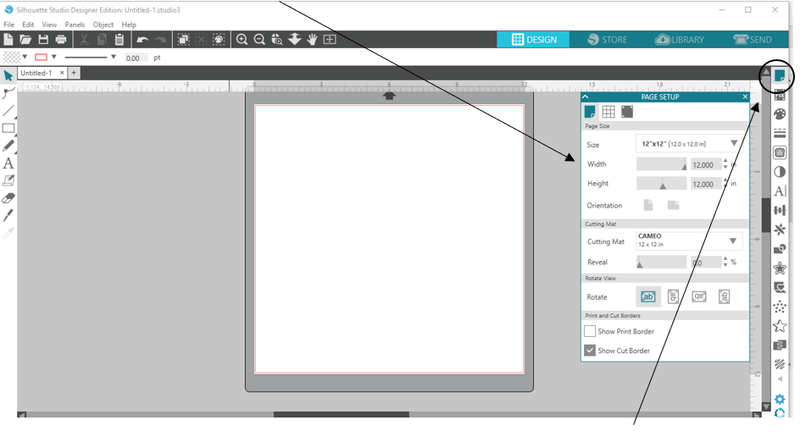 To access these page setup options in the future, click the Page Setup icon in the options toolbar in the upper right-hand corner of your screen. 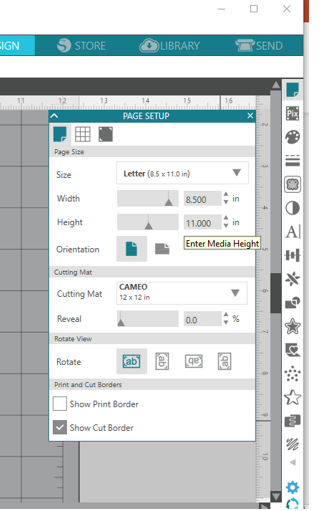 Set your page settings to “Letter Size” (US members) or “A4 size” (Australia). 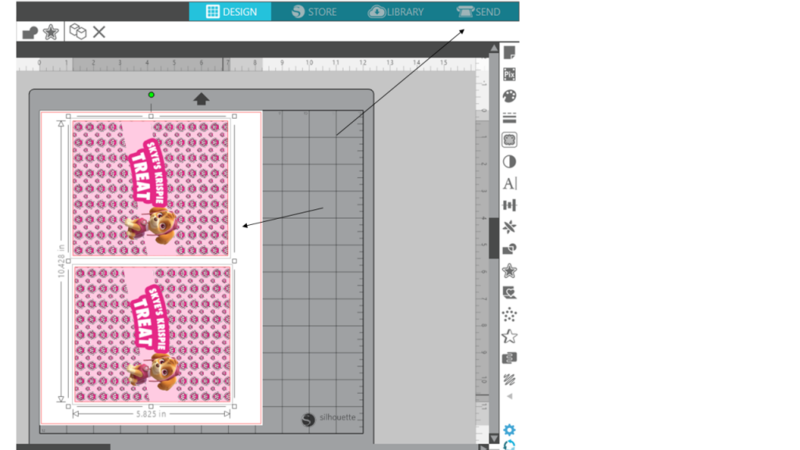 We will be using this size as an example. 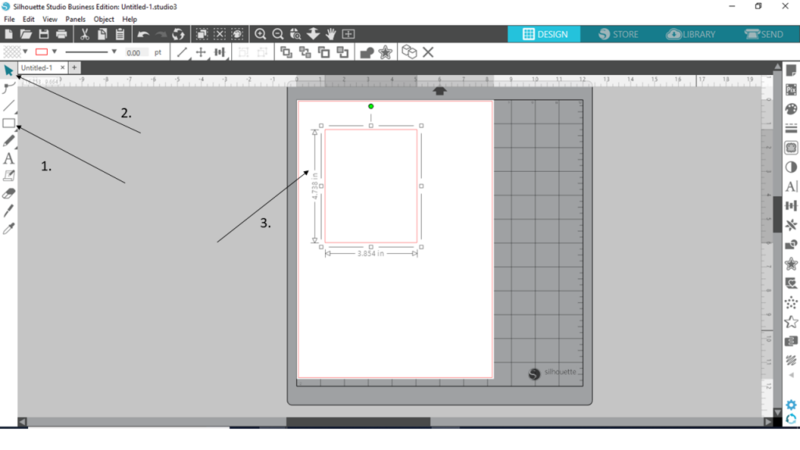 Welcome to print and cut 12″12″ if you have that size printer. 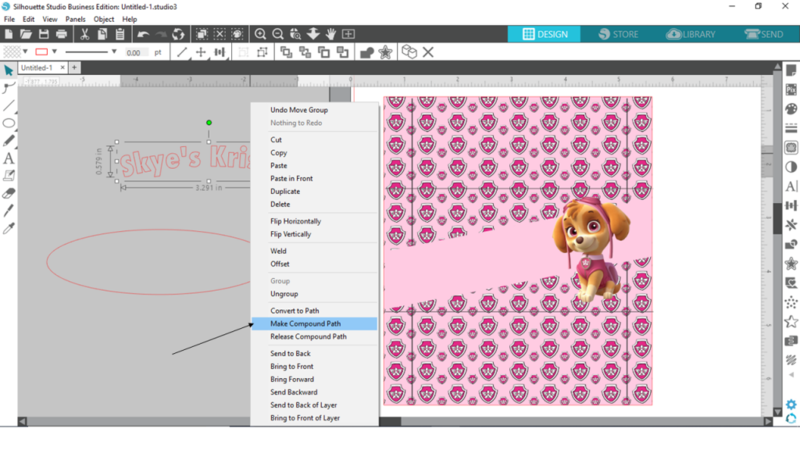 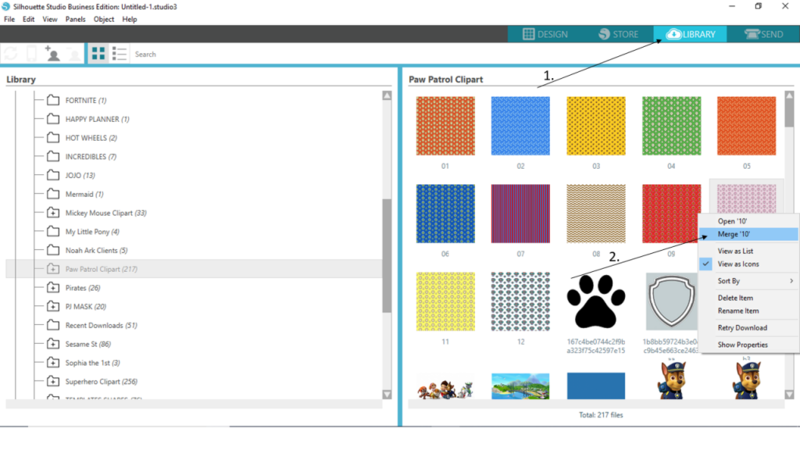 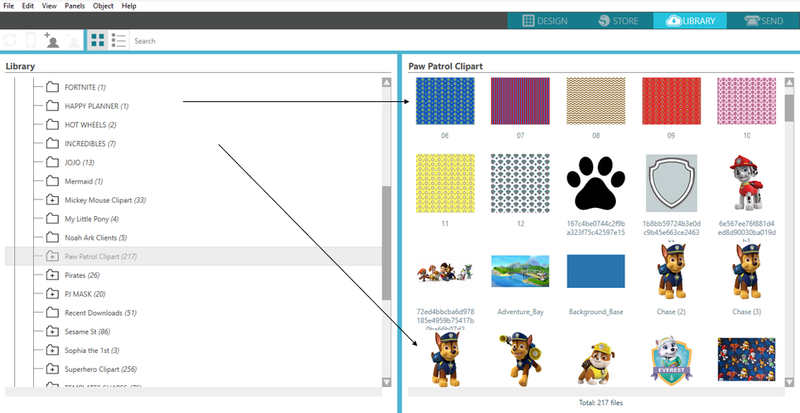 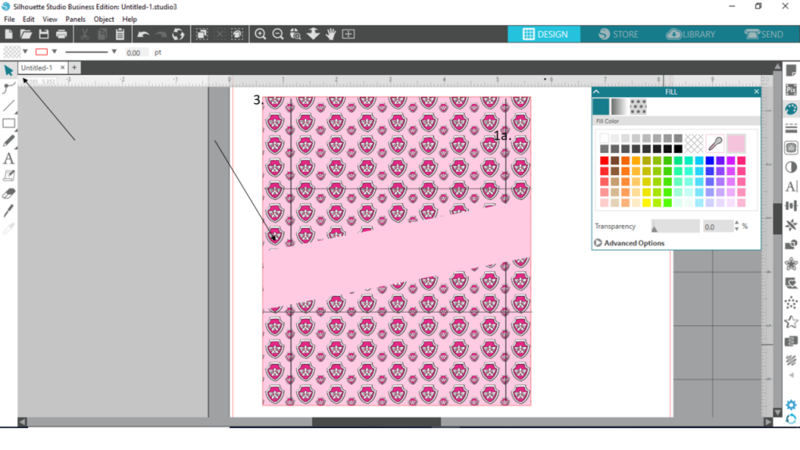 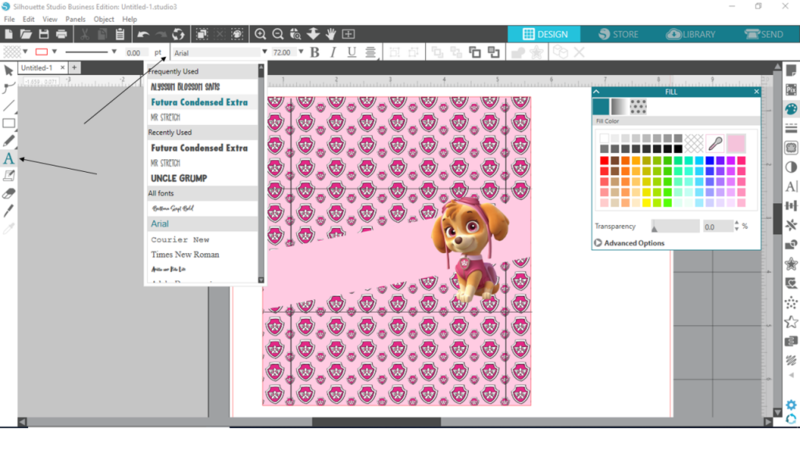 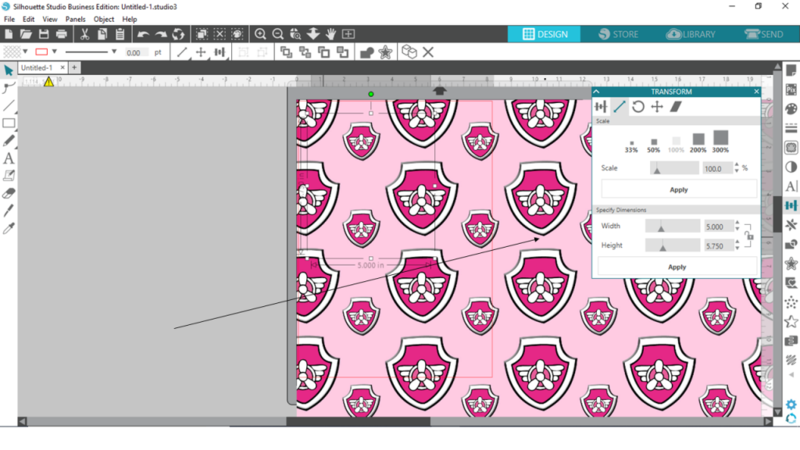 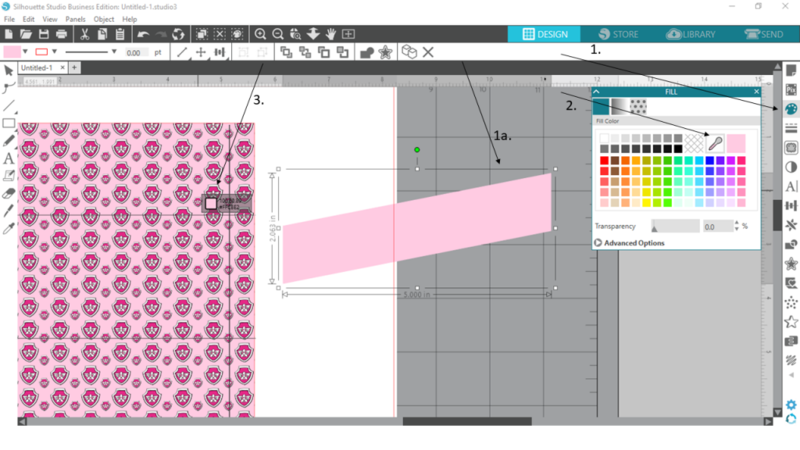 Click the Library button to view where all your cliparts & wallpaper will be stored. 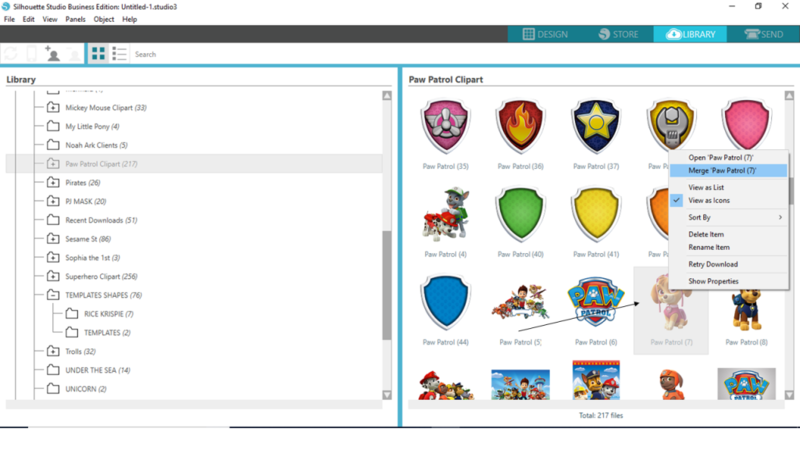 Once clicked inside the Library, right click the Library button in the left side toolbar, then type a name for your new folder. 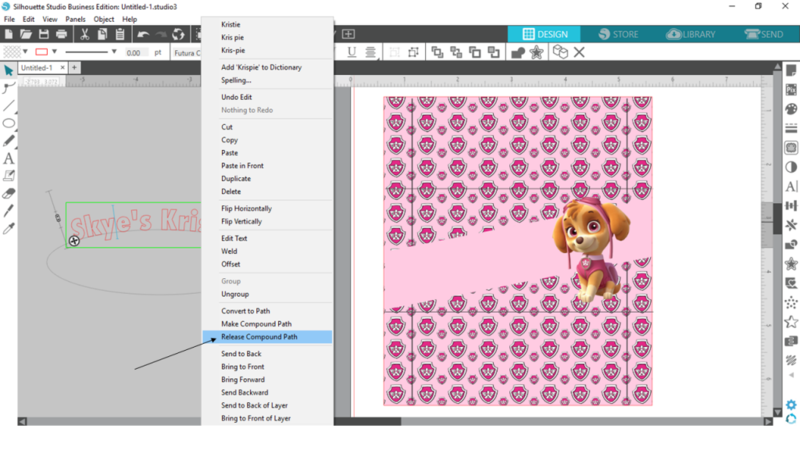 Drag any design (clipart, wallpaper or templates) from your computer into your newly created folder (in the folders panel on the left). 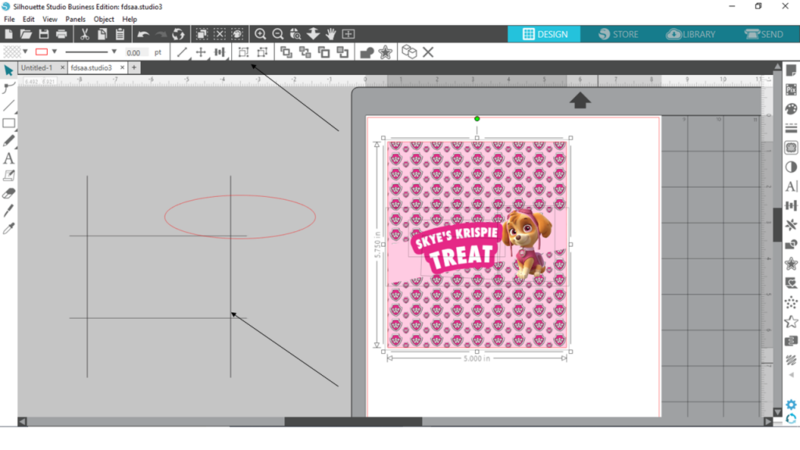 That my friend is how you make a custom rice krispie treat in Silhouette Studio.